We hit capacity the past 3 weeks. Early Arrival Strongly suggested! 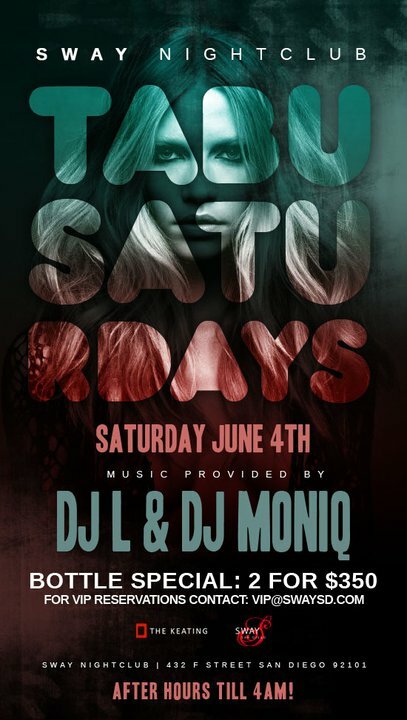 Tabu Saturdays at Sway is quickly becoming the place to be on Saturday nights. Come See for Yourself!